Suzie Boss is a member of the Buck Institute for Education's National Faculty. She is a writer and educational consultant who focuses on the power of teaching and learning to improve lives and transform communities. She is the author or coauthor of several books on education and innovation, including Setting the Standard for Project Based Learning, Real-World Projects, Bringing Innovation to School: Empowering Students to Thrive in a Changing World, and Reinventing Project Based Learning: Your Field Guide to Real-World Projects in the Digital Age. Boss is a regular contributor to Edutopia. She collaborated with award-winning Stephen Ritz to tell his inspiring story in The Power of a Plant. Her work has appeared in a wide range of publications, including Educational Leadership, Principal Leadership, the New York Times, Education Week, and Huffington Post. She is a frequent conference presenter and consults internationally with schools interested in shifting from traditional instruction to technology-rich, Project Based Learning. 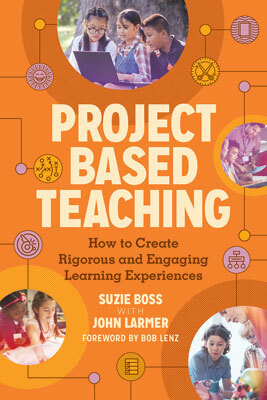 Suzie Boss and John Larmer build on the existing framework for Gold Standard PBL and explore seven practices integral to Project Based Teaching.